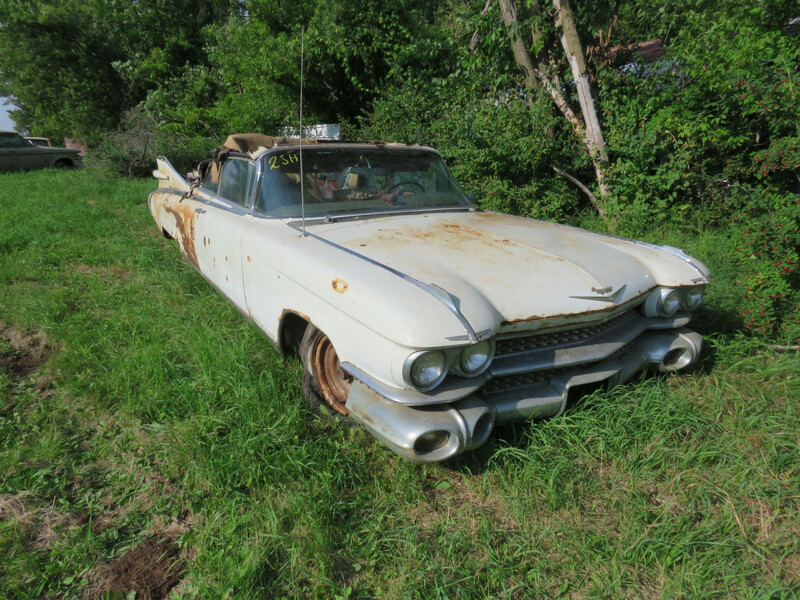 You are bidding on a RARE and hard to find 1959 Cadillac Eldorado Biarritz 2dr Convertible. Series 64. This is 1 of 1320 built total production for that year. The driver’s door will not open for VIN. We have titles and will be matching and updating. 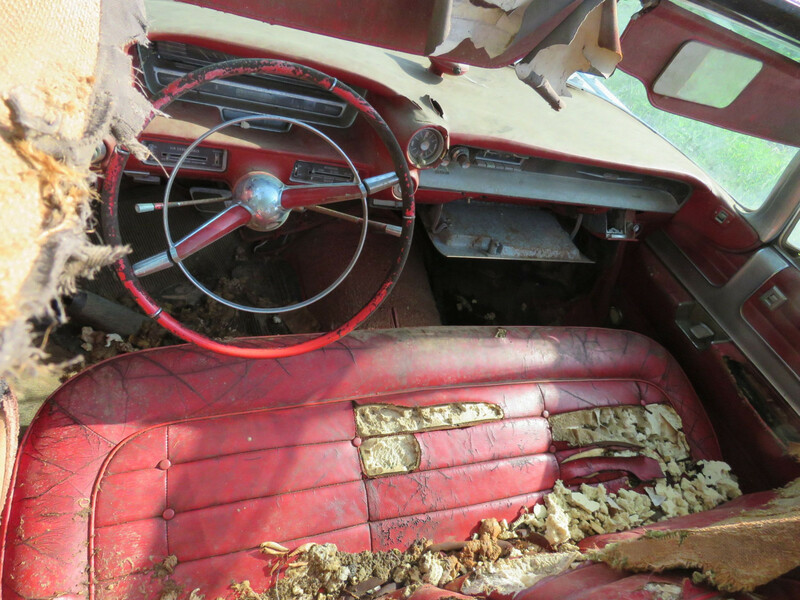 The car was stored inside, but had many racoons. This car has Raccoon poop in the trunk and on the car. The car is original White in color. 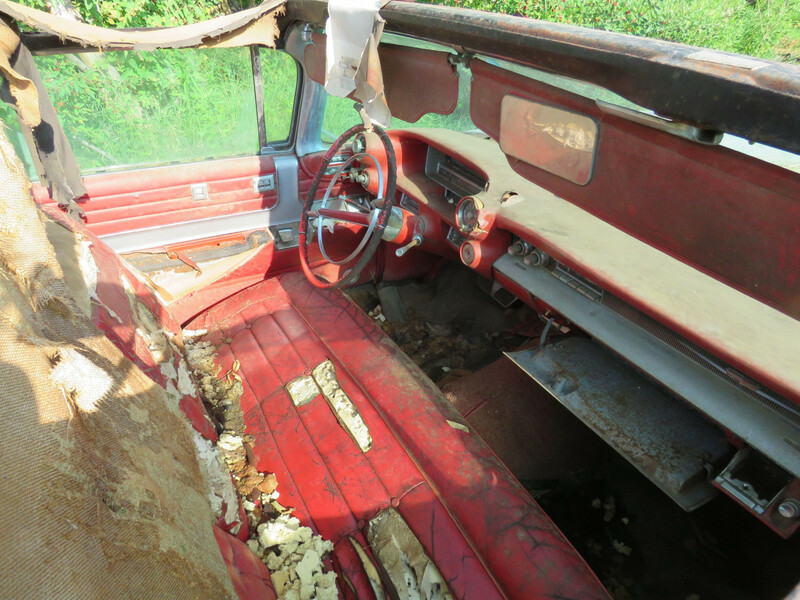 The car has rust in the quarters, floor, rockers, and on frame. The driver’s quarter is cut and gone. The decklid is gone. The trim is mostly complete except for the cut side. 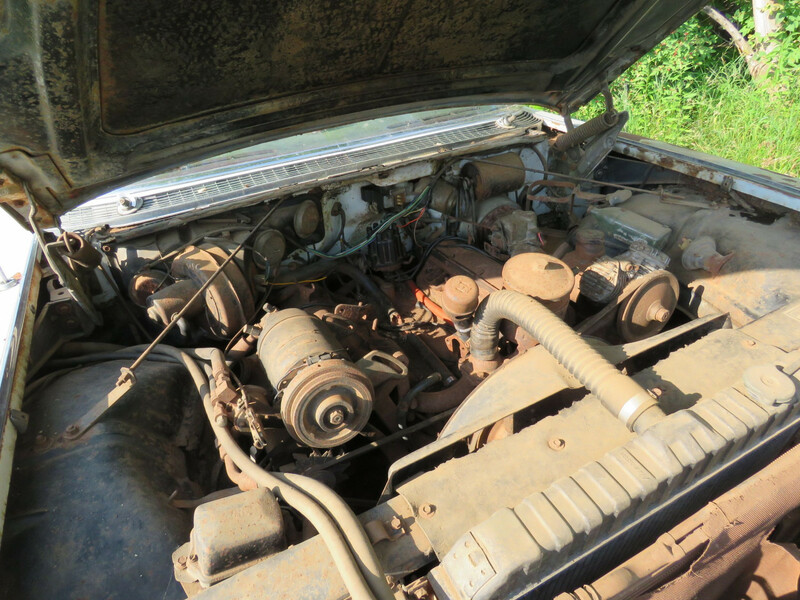 The car has a V8 engine and the intake is removed. 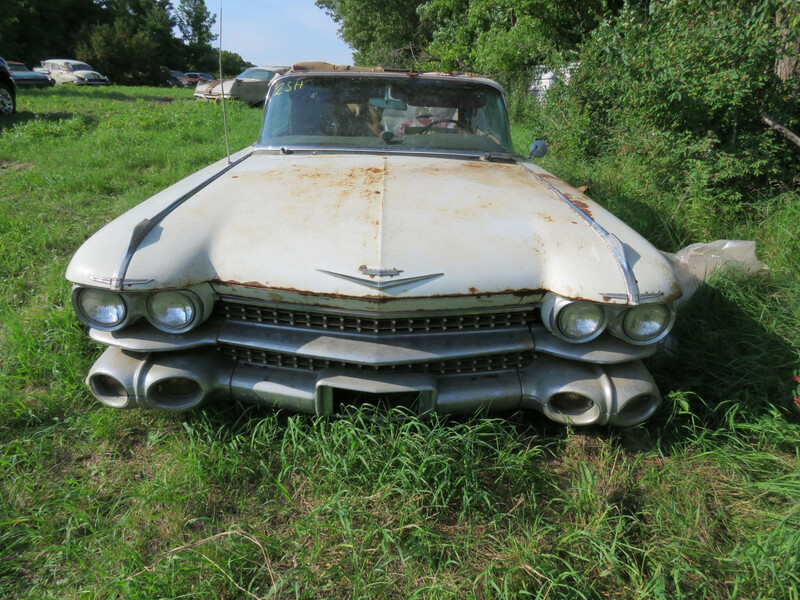 I did locate a Tri-Power for Cadillac and will be sold seperately. The car has an Automatic transmission. 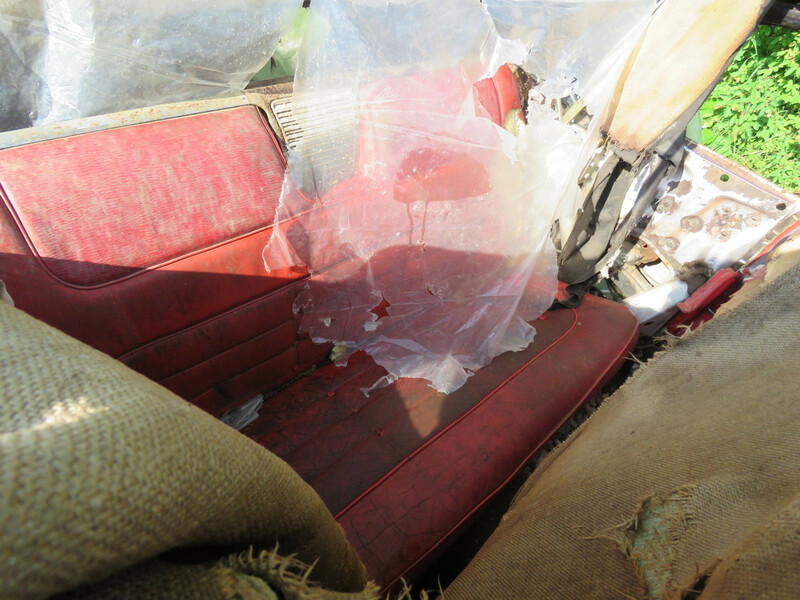 The car has a Red and white leather interior and has tears and needs restore. Bench seat. It is loaded with options. 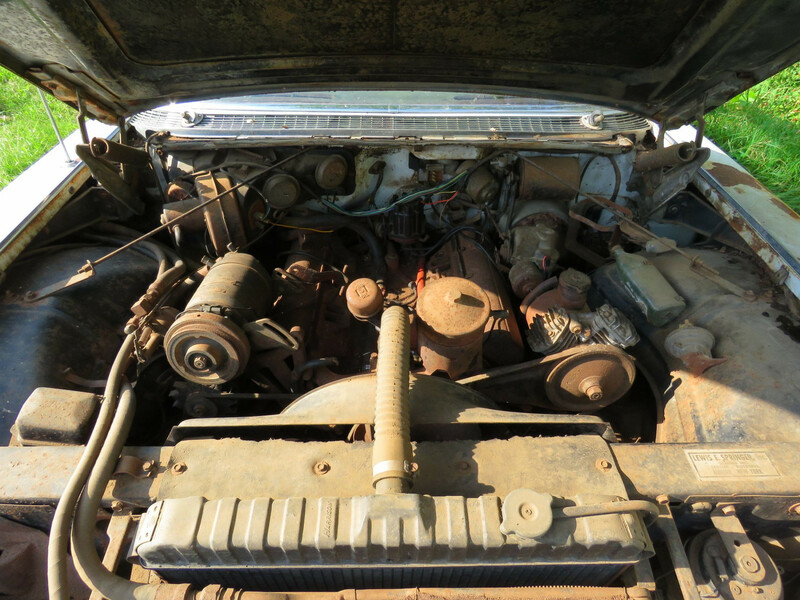 Electric windows and locks, AC, and Am radio, and more. The top bows are there and the Top Canvas is torn and mostly gone. 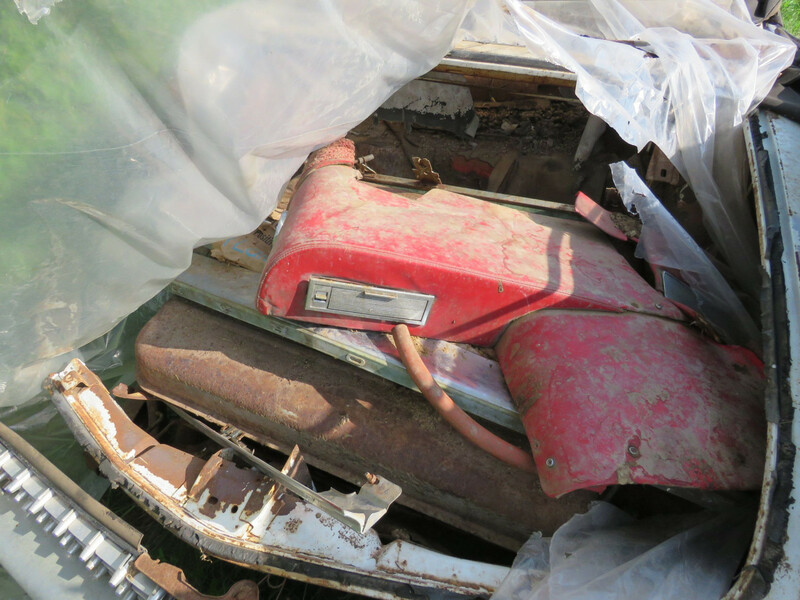 There are many parts in the trunk including the rear interior that was on the Quarter side that is cut. I could not get the doors open on either side. Does not roll or run. 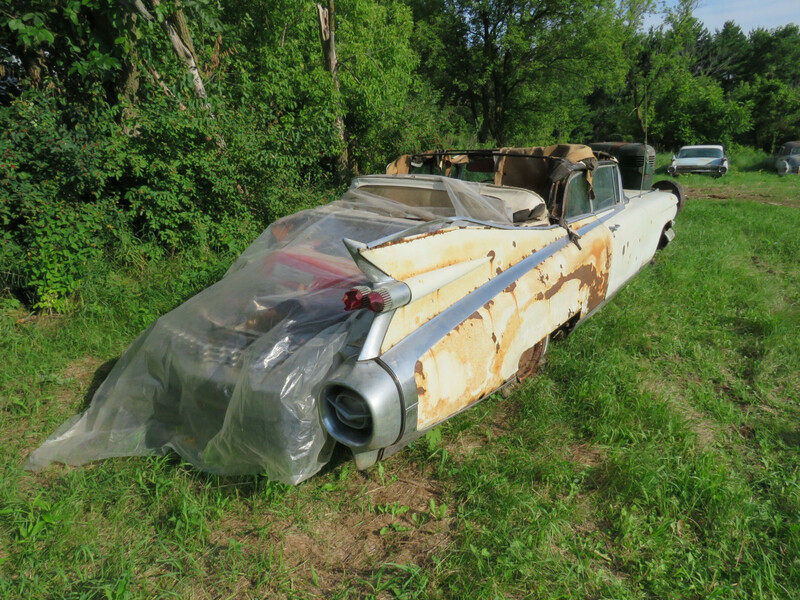 This rare car would be a great and rare addition to your collection for restore. 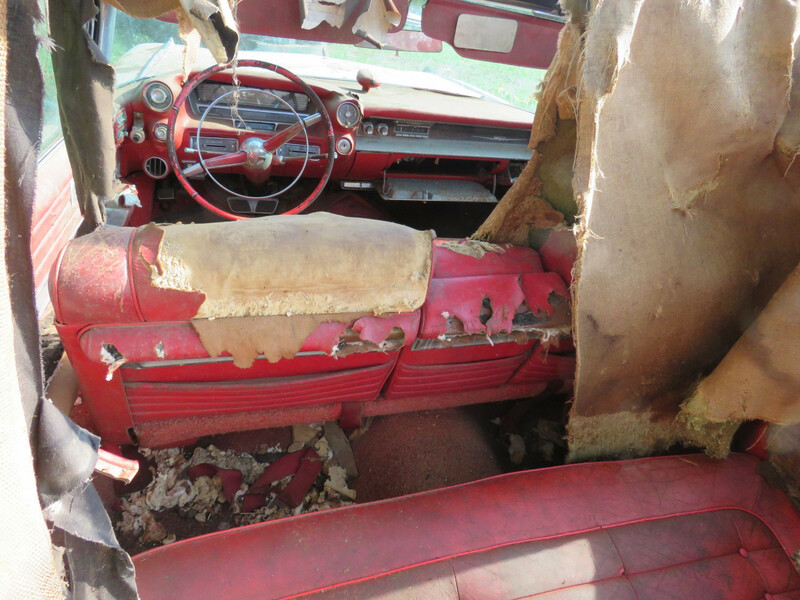 This also comes with a great story on your barn find. This is part of the Brown Estate in SE Wisc. This is a timed On-LINE ONLY AUCTION. ALL SALES ARE AS IS AND ALL SALES ARE FINAL. NO EXCEPTIONS. SERIOUS BIDDERS ONLY. Money Wire or Verified Funds for ALL Purchases. NO CC accepted. Buyer’s are responsible for review of information, pictures, and bid accordingly. 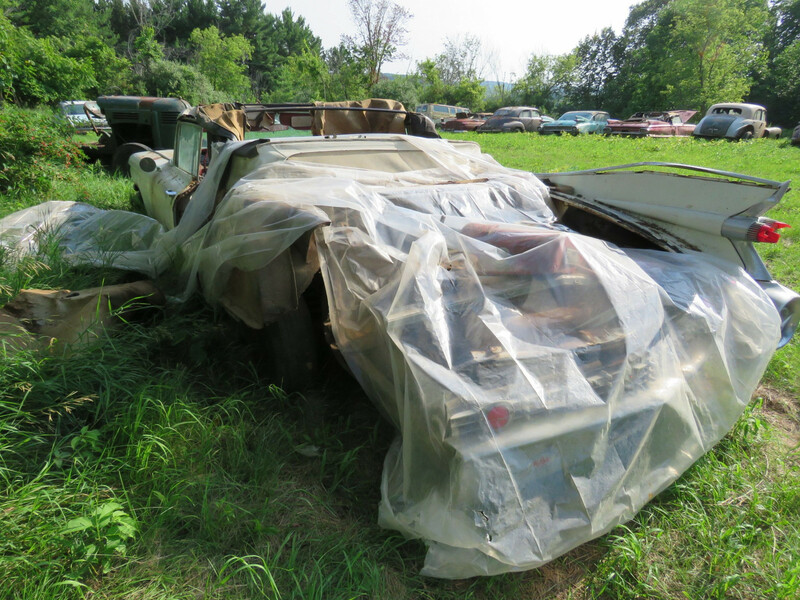 There are rare vehicles in this collection for restore. There is video on my Facebook Page VanDerBrink Auctions, LLC. You may also call for with questions 605-201-7005. Buyers are responsible for shipping and removal costs and arrangements at load out. Due to the location, safety, and family privacy, no preview available at this time. The vehicles, Most all do not roll, have flat or no tires. They all do not run. These cars are for restore. Winning Bidders will be given the location and times for pickup/arrangements. The family will be happy to tell winning bidders about their Father/Father-in-Law. The location is easily accessible and the cars are easily accessible and load if you have a winch, trailer, and pickup. The location will not let a SEMI transport to drive in. You would need a roll back and then off-load onto the truck on the road. I am having an expert review the cars and will add those comments after his inspections. 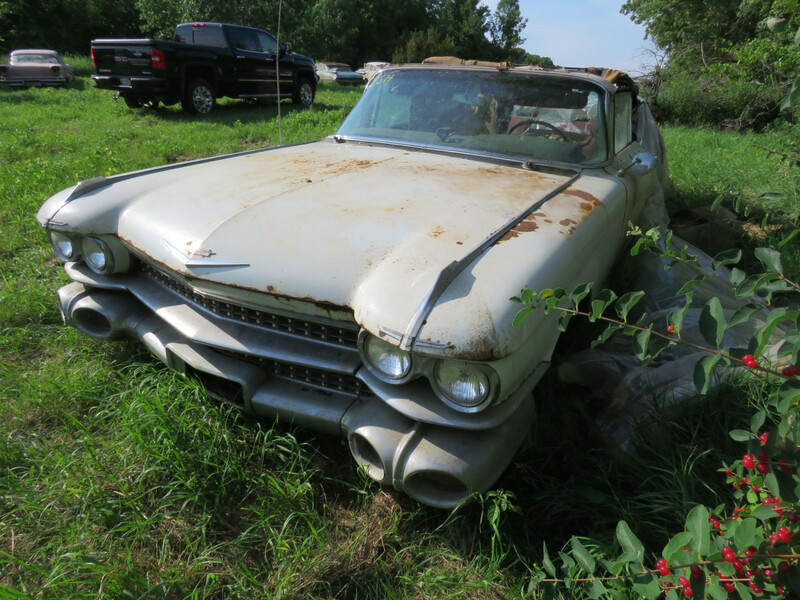 This is a very fun collection of Rare and hard to find cars and you will be the talk of the town with these barn finds. Happy bidding and rememeber serious bidders, Please.